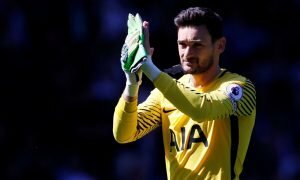 Assou-Ekotto warns Lloris he won't be first choice keeper for Spurs | The Transfer Tavern | Where football transfer rumours fly or die! The Mirror have reported that Tottenham Hotspur defender Benoit Assou-Ekotto has warned Hugo Lloris that he will be spending a fair amount of time on the bench, with Friedel not showing any reason to be dropped. The oldest Premier League played has impressed new coach Andre Villas-Boas so much that he has insisted on keeping the goalie as first choice, despite being 16 years old then his suspected future replacement, and a £12 million difference in transfer fees! Friedel won the man of the match award against Norwich, where the teams drew 1-1 at White Hart Lane for the second home draw of the season. Reports earlier in September suggested that France coach Didier Deschamps was frustrated at Villas-Boas for praising Brad Friedel and saying that his number one International keeper won’t be joining the first eleven anytime soon. However, Lloris has openly voiced his excitement at fighting for his place in the squad, as well as personally developing as a player in London. “It will not be easy for Lloris at Tottenham. Like any top player, he will be judged on his ability and performance. “Even if Lloris is the number one in the France squad, that does not guarantee him that title at Spurs. Hugo will need a lot of work to inspire the confidence of the coach. “Friedel is a keeper without faults and is experienced in a tough league in England. I think Lloris could be number two this season if Friedel keeps up his form and does not allow anyone to make the change. Despite this situation, Lloris is thought to have been brought into the North London club to replace Brad Friedel, who only has one year remaining on his contract.